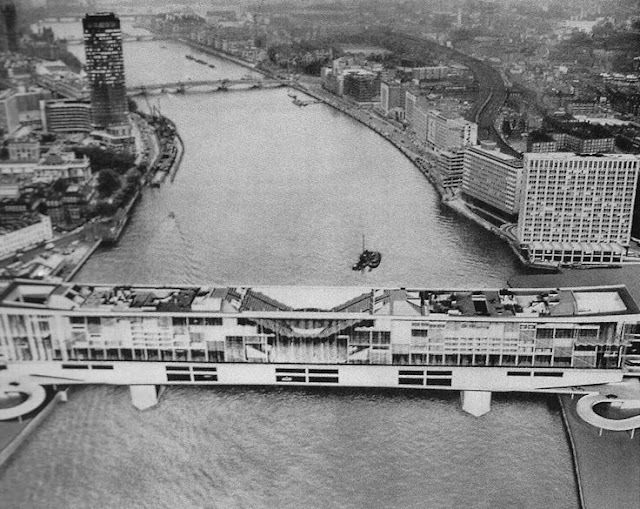 The Crystal Span was proposed for Vauxhall Bridge in the 60s by the Glass Age Development Committee. I first came across it here. Looking like a Cruise Liner it is a proposal for a living bridge with shops houses hotels and so on. The Glass Age Development Committee was established in 1937 by Pilkington to promote the use of glass as a building material in the United Kingdom. It commissioned designs for many large-scale schemes, none of which were ever built (including Jellicoe's Motopia and a colossal redevelopment of Soho. 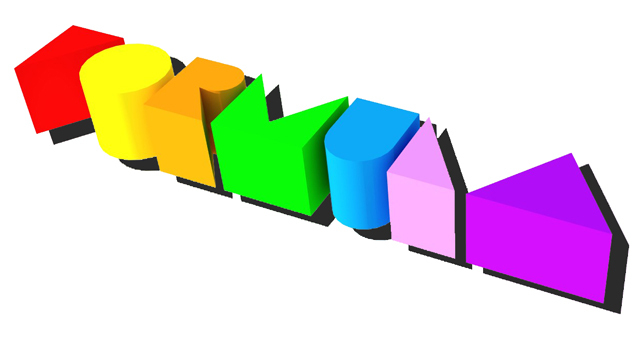 There is a very good article about the group from Architectural Review here. It prompted a trip for me to RIBA to look at the original issues, but alas the adverts are removed from them. If anyone reads this and knows of somewhere I can see the adverts I would love to see them. 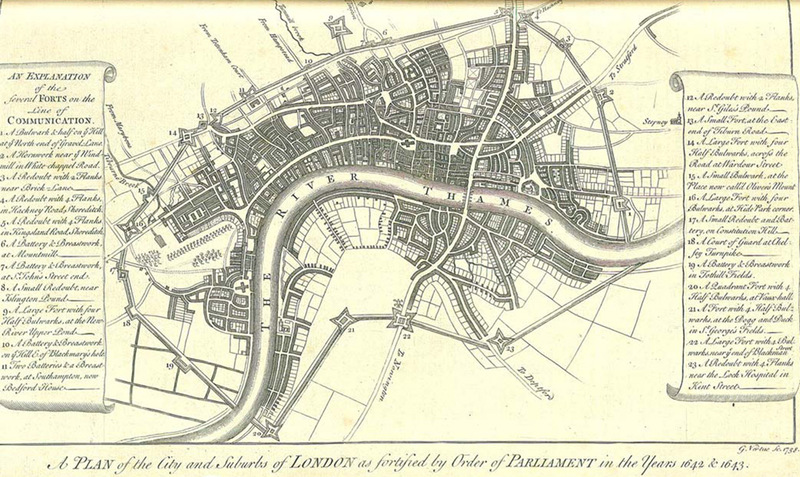 So around the Civil wars in the 1640s (my knowledge of history is not great, sorry) London was surrounded by Forts. Lithgow walked them all (around 18 miles apparently) in one day and described them. This is a drawing by Captain John Eyre of the Quadrant Fort at Vauxhall, with possibly John Tradescants Ark behind it? This image is taken from Strange Blooms by Jennifer Potter. 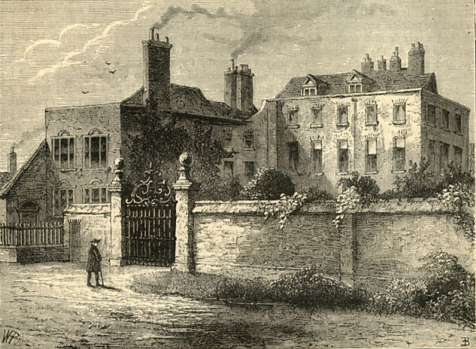 While researching the history of the Museum I discovered that the very first museum was just around the corner from my house in Vauxhall/Stockwell. 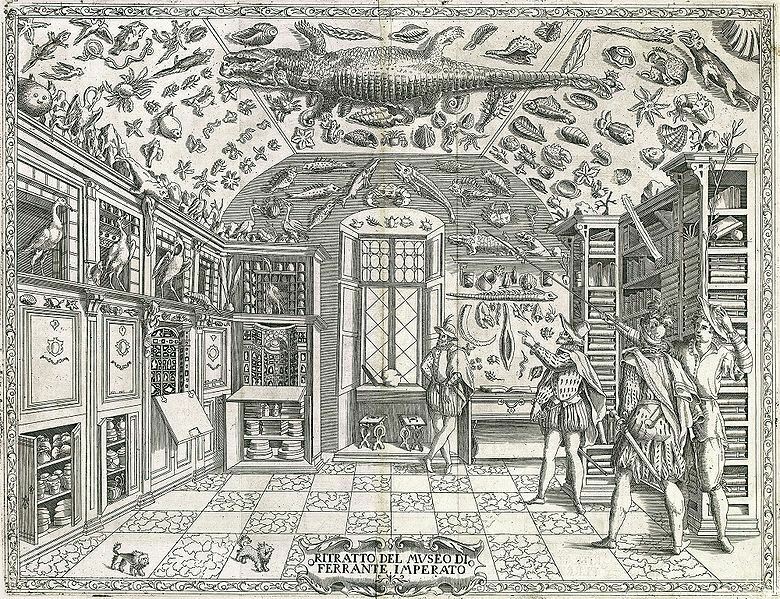 Dubbed ‘Tradescant’s Ark’, the gardener John Tradescant's unsorted and unclassified collection was a microcosm of the entire world. There is little visual material to show what it loooked like, it was on a site beginning around what is now Tradescant Road. John Tradescant is now buried in the Garden Museum in Lambeth. It is possible to take out the book listing his collection from the library in Lambeth near Myatts Field. 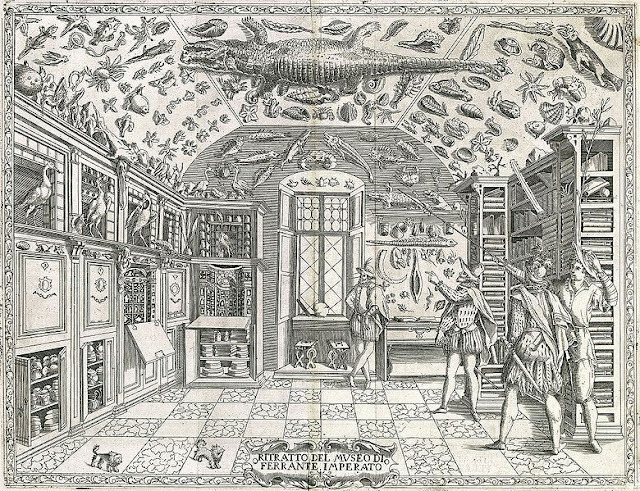 The collection eventually moved to Oxford and it became the foundation for the Ashmolean Museum's Collection.